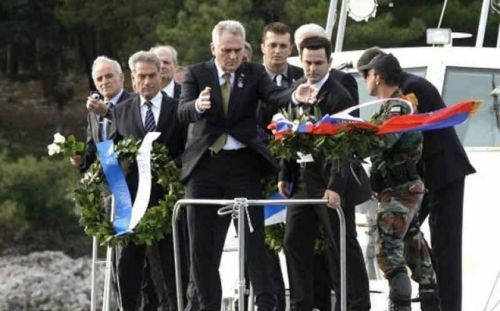 The President layed wreaths in Thessaloniki at the Serbian Military Cemetery - Zeytinlik, and on Corfu at the Mausoleum on the island of Vido, at the Navy Cross and at the "Blue Graveyard". 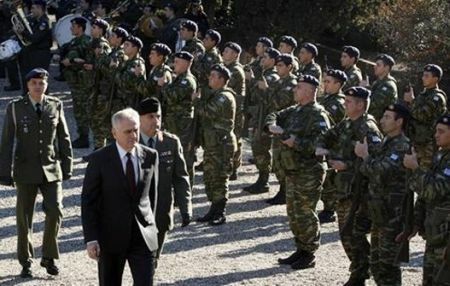 The visit of the President took place on the newly established holiday - the Day of Armistice at the First World War, 11 November. 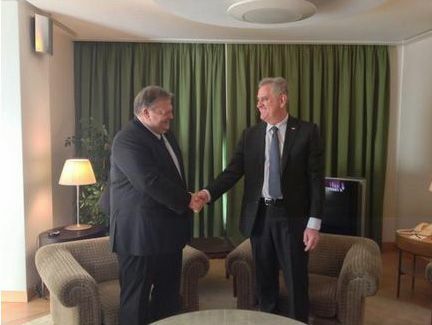 On Corfu, Nikolic had talks with the Prefect of the Ionian islands S. Spirou and the Mayor of Corfu Y. Trepeklis. 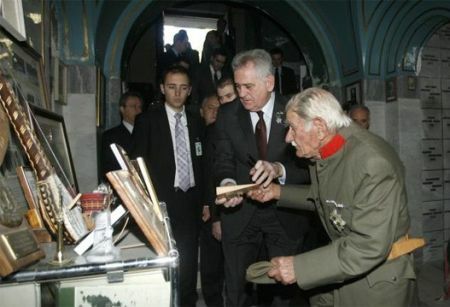 He visited the Serbian Museum, where he gave the curator Saramandic gifts which will be exposed in the Museum - a replica of the first two pages of Miroslav Gospel and the map showing the way that this manuscript book from 12th century passed with the Serbian Army during the First World War. 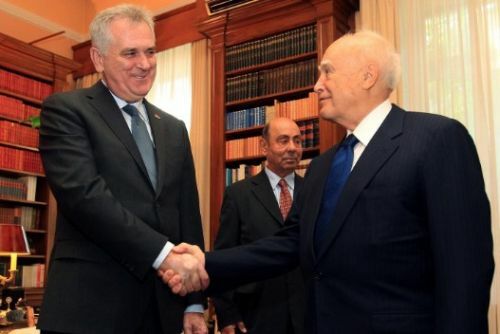 In all the talks traditional and exceptional relations of the two nations were confirmed, as well as the support of Athens to the European path of Serbia, conviction that Greece would overcome the financial and the economic crisis she is facing and the mutual will for the bilateral cooperation to be further promoted at all levels and in all sectors.